If you haven't seen Etna, you haven't seen Sicily, right? 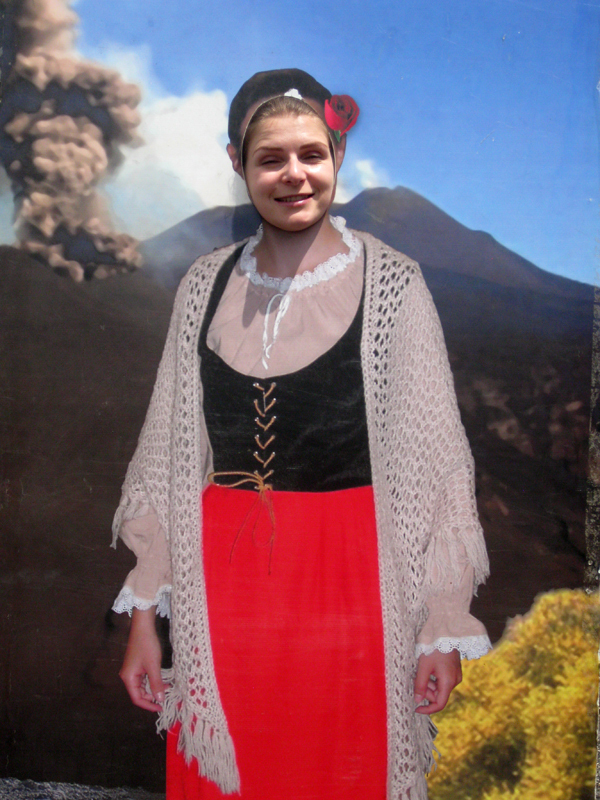 Of course it isn’t, but Etna was on our way to Palermo and we couldn't resist visiting this famous volcano. Actually it's interesting when the volcano is active and the flowing lava is visible. Then it's worth taking the cable car all the way up. During our visit there was too little to see. So therefore we drove by car to the end of the road, enjoyed view, lunch, volcanic landscape and continued to the city. The climate was completely different. It was cold, windy and cloudy. Nature was dark and bare. When you drive here, you get a good picture of a volcano eruption, how far the lava came and what was damaged so far. It was a special experience, though I was glad to be back down in the warmer environment. After this volcanic experience we took the highway through the middle of the island, which was just breathtaking. In terms of landscape and nature, this area in my opinion is the very best of Sicily. Unfortunately, the road was narrow and we could not stop anywhere to enjoy these amazing views a bit longer or capture this beauty on film. This vast field is consisted of beautiful green hills, mountains in the distance, clear blue sky, high rock villages and animal farms. A huge contrast to the rather poor looking south coast. 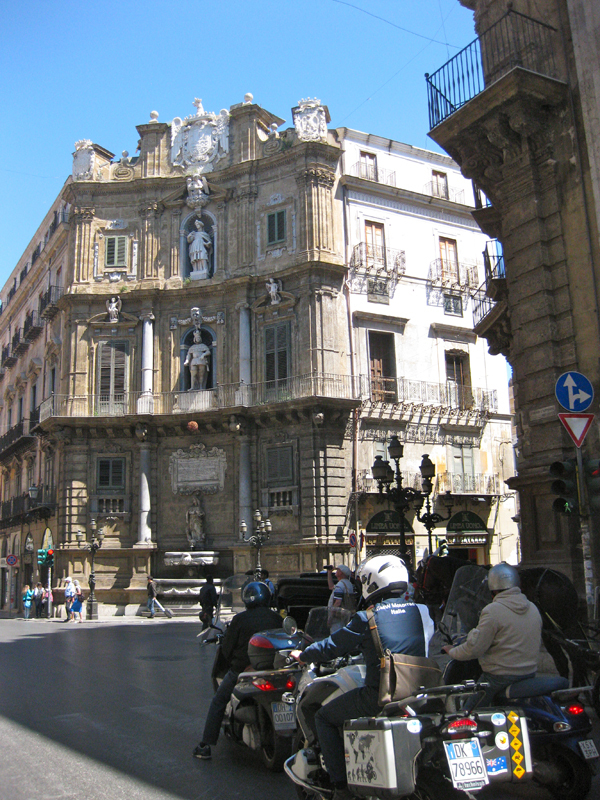 When entering Palermo, we notice immediately how busy it is here compared to previous places. There is much to do, to see, to shop and discover. On the other hand the air is pretty polluted and in the evening some neighborhoods can be quite dangerous. What struck me immediately is that the seaside neighborhood is not good. And it's not even pretty either. To orientate in Palermo is fairly easy. Via Roma, Via Maqueda and Via Vittorio Emanuele are three major streets of traffic and shopping. Where the streets Maqueda and Vittorio Emanuele cross each other, the city is divided into four areas. This particular center is recognizable by a stunning Baroque style Quattro Canti square. You find several interesting historical sights on walking distance. If you stray away from the main streets, you will probably end up in the less wealthy neighborhoods. There is absolutely nothing wrong with that, because those places are really genuine and full of character. 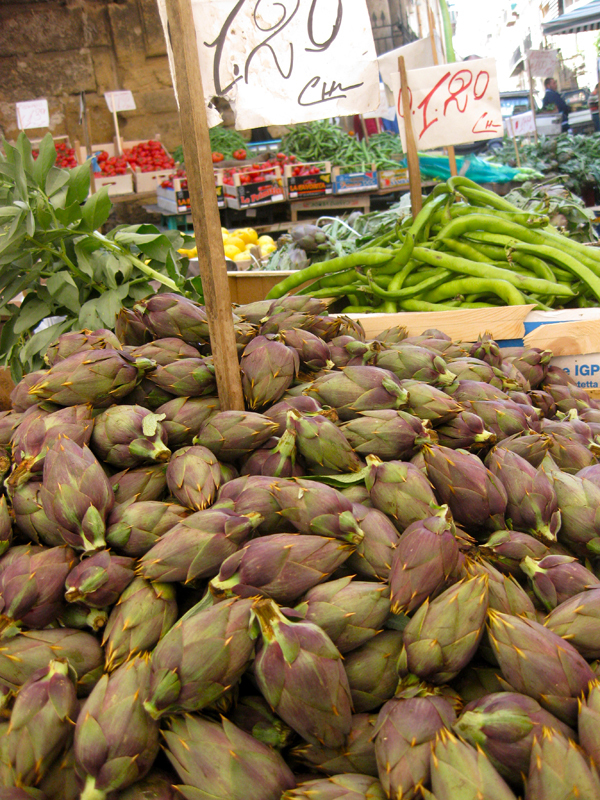 You will also find markets here that are full of fresh fish, fruits and vegetables. La Vucciria market seems to be the most famous one. 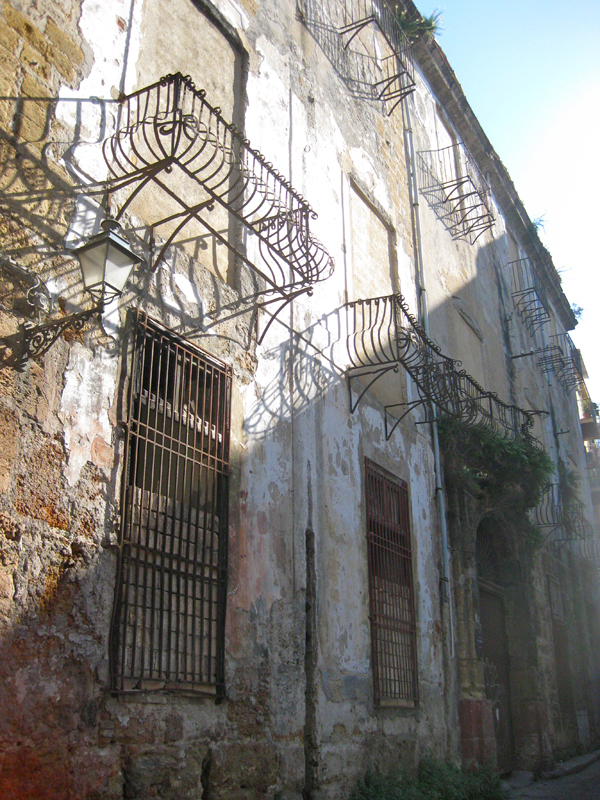 It is also the most unusual location of Palermo, I think. The market stench made me think I was somewhere in Asia, somewhere far, far away from Europe. Beyond the market the neighborhood turns into a true ghetto. Some buildings are simply ruins, as if some war has been going on recently. In the first instance this looks quite frightening, but soon I realize La Vucciria has the best atmosphere in town. When the sun goes down, the youngsters gather here to party. 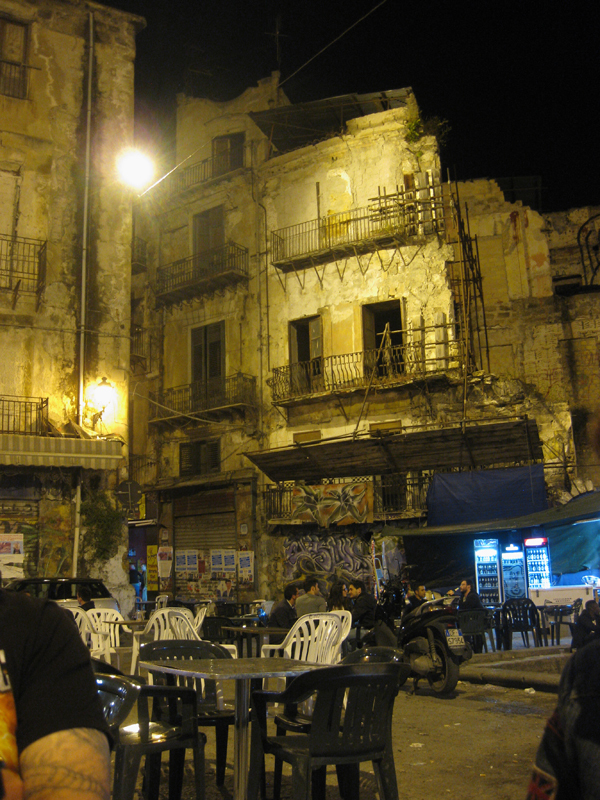 It reminds me of the ruin bars of Budapest, only here the damaged facades are just background. One of the ruins is a former bank, an ironic symbol of the European economy collapse. Yet life goes on, and everyone enjoys. Tables and chairs are everywhere. Couple of bars here and there offer cheap drinks. There are many food stalls with fish and pancakes and some great family restaurants with cheap and delicious dishes on their menus. 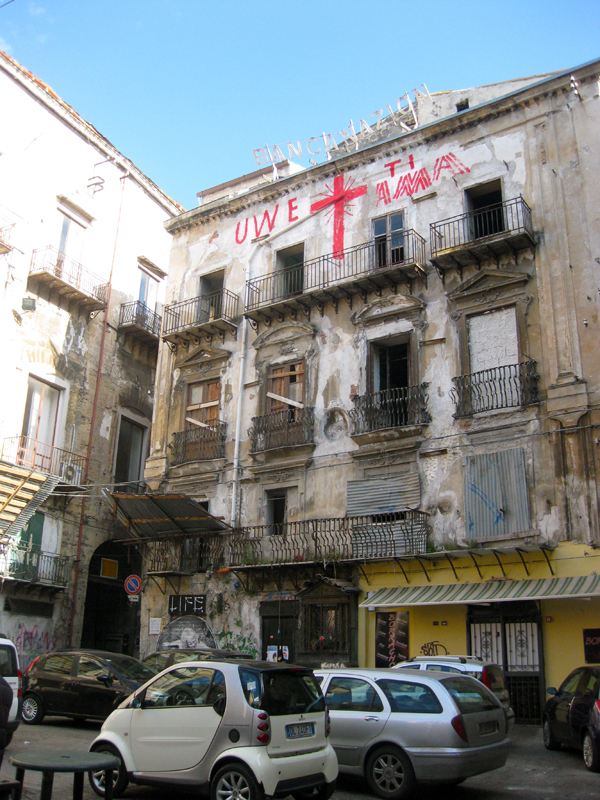 Next to the vibrant and rich, Palermo also has a macabre side in its history. Catacombe dei Cappuccini is actually a sight you cannot miss. I thought I have seen something like this before in Rome, yet is this one bigger, more obscure and impressive. Not very deep underground, couple of hallways are filled with hundreds of wealthy, mummified inhabitants of Palermo. The corridors are divided in sections. One is for men, another for women, children, priests and so on. 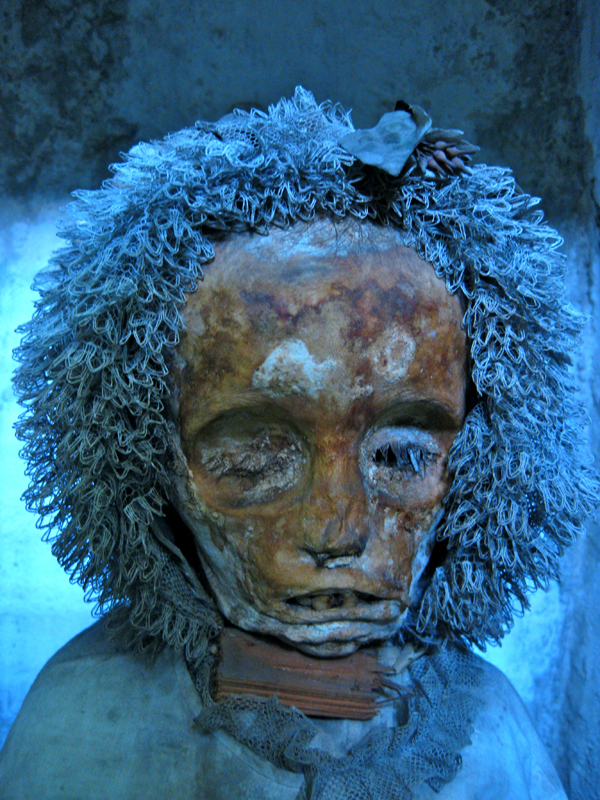 Some are very well preserved and therefore very creepy. The dead looked quite sinister, but I couldn't keep my eyes off. And even though it was forbidden to take pictures, I could not resist doing it. Sorry. 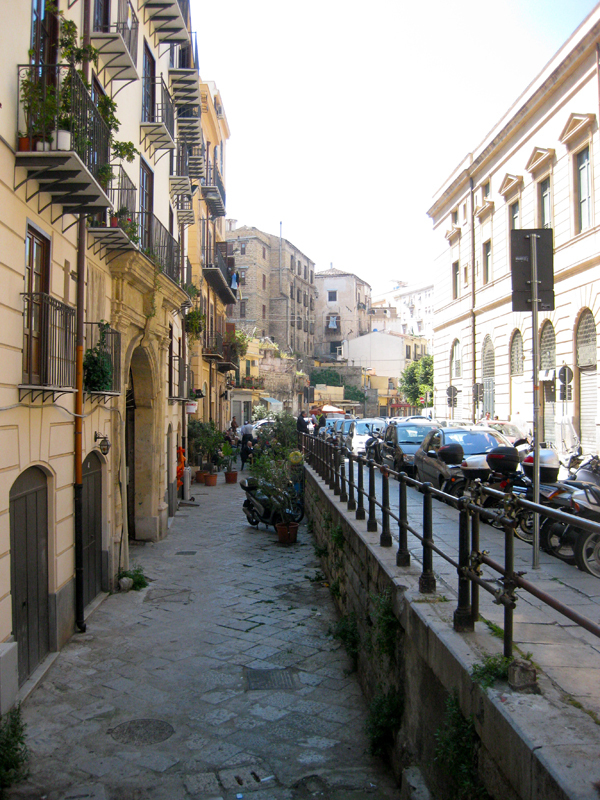 Before leaving Sicily, I shopped successfully and payed a visit to the lovely ghetto of La Vucciria again. It was wonderful! I will come back to Sicily someday, for sure!